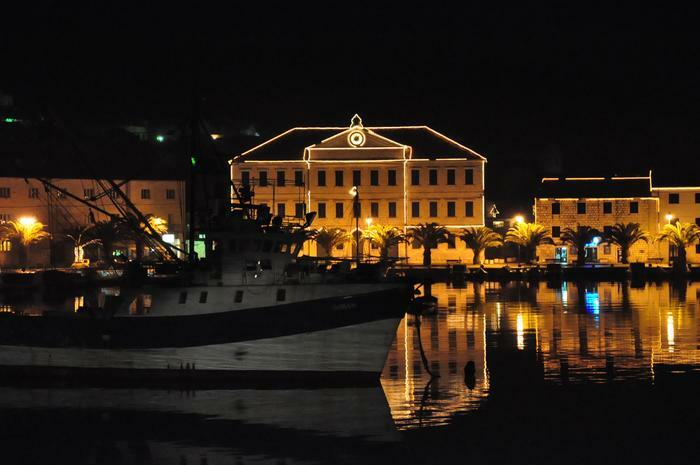 For ten years now, Korčula has celebrated the Half New Year's Eve on June 30. The masqueraded pageant accompanied by many musical acts turns the streets of Korčula into one big dancefloor. This unique tradition began in 2001 by the Carnival club of Korčula. It was the first such event in Croatia, and put Korčula's name in the lists of party centers. A masqueraded parade of young and old Korčulans also attracts numerous visitors from all over the country, who come to take part in the colorful gathering. Alongside creative costumes of the hundreds of participants, the brass band is an idelible part of the Half New Year event. People visiting Korčula on this special day tend do join in the festivities with gusto. Live music and dancing take over all the squares and streets of Korčula. The countdown and the midnight fireworks are essential parts of the celebration which continues well towards the morning. The place to be during this night of summer madness is definitely Korčula!